The Johnson & Johnson Digital Center of Excellence (DCOE) engaged BNO to perform a heuristic usability evaluation and comparative feature analysis for ten Johnson and Johnson consumer web sites. 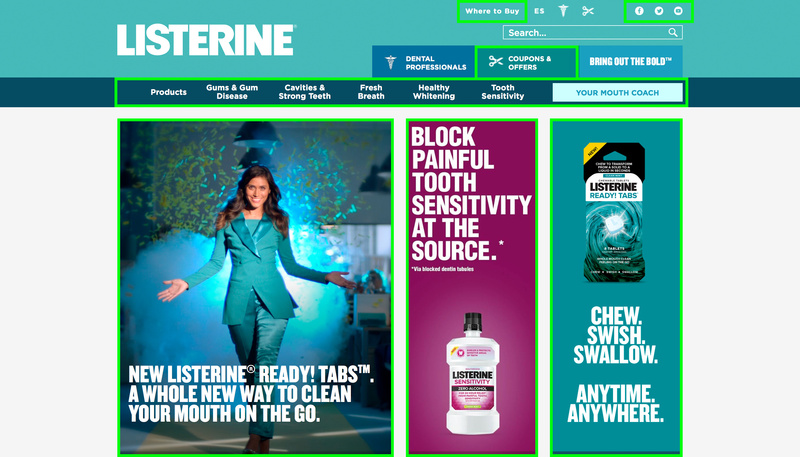 The study included Johnsonsbaby.com (English, Japanese and Chinese), Listerine.com (English and Chinese), Cleanandclear.co.uk (English), Imodium.de (German), Neosporin.com (English), and Band-Aid.com (English). The goal of the project was to identify user experience obstacles and create a best practice user experience framework for brand managers. The heuristic evaluation started with a core group of features including navigation (global, local, and page-level), search, page structure and content, and home page design. Additional features were included and evaluated based on specific project goals and site objectives. In all, 27 features across the ten sites were evaluated against 38 heuristics. The result was a final report that included feature usability scores for each site, overall usability scores, examples from each feature highlighting positive and negative scores, and analysis of findings to create a best practice digital user experience framework. Leveraging usability scores, BNO created best practices for the digital user.